A Calgary-Elbow byelection is expected to kick-off soon after Alison Redford’s resignation as MLA. Last time a byelection was called, Liberal Craig Cheffins managed to make a hefty dent in votes, according to an article published by the Calgary Herald. According to the article, Alberta Liberal Party leader Raj Sherman believes the Liberal candidate will have a strong advantage due to the controversy occurring between the Alberta Progressive Conservative and Wildrose parties. 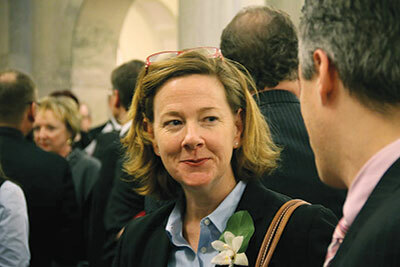 After Calgary-Elbow MLA Alison Redford’s resignation, a byelection will be called to find a new MLA. However, according to another article published by the Calgary Herald, the leader of the Wildrose Party, Danielle Smith said her party will be “fighting tooth and nail” in the next byelection. According to The Calgary Herald, Brian Henninger, a PC Candidate who lost to Cheffins in the last byelection, told voters to not take their anger out on the Tory in the upcoming election. You’ve heard it before but the numbers don’t lie: post-secondary students have the lowest voting demographic. This results in platforms not being tailored to students’ needs. A most visible repercussion of not voting is in the budget cuts that occurred in 2012. Programs across Alberta post-secondary institutes were discontinued due to the budget cuts, Mount Royal University being one of them. Platforms are currently geared towards the voting demographics and as a result there’s a higher focus on senior rights and primary education. In order for post-secondary students to be heard, they need to be voting. This election is of special importance to Mount Royal University student, as those who live in in residence and who are Canadian citizens can register to vote in the upcoming byelection. There will be more information released as the byelection draws closer. We chose the top four reasons of why students should vote from an article called “10 Reasons College Students Should Vote” written by Douglas Fehlen. Many students don’t believe their vote will make any difference, but recent history has shown that elections can be decided by a handful of votes. In fact, many local contests end in ties each election year with winners being determined by a coin flip. Taking the initiative to vote can help prevent elections from being left to chance. Politicians know who votes each election, and they are more likely to support initiatives that are popular among groups with the highest voter turnout. For college students to have significant political influence, they must turn out in greater numbers than is traditionally seen. You have a part to play in that. The college vote can swing elections. There are more than 75 million Millennials, a number that rivals the number of Baby Boomers — another important voting bloc. The problem is that college students typically vote in much smaller numbers than older citizens. Mobilized, Millennials represent a powerful political force. Are you passionate about a particular social issue? Gay marriage, capital punishment and the separation of church and state are only a few of many contentious topics that dominate the political discourse. Learn about candidates’ views on issues that are important to you, and vote in support of your beliefs.